Find free consonant digraph games to supplement your phonics lessons in the classroom. These activities are easy to download and print out, or even to create on your own. Prior to playing any games, be sure to introduce the consonant digraphs to the children. Consonant digraphs are when two individual consonants blend together to make one unique sound. 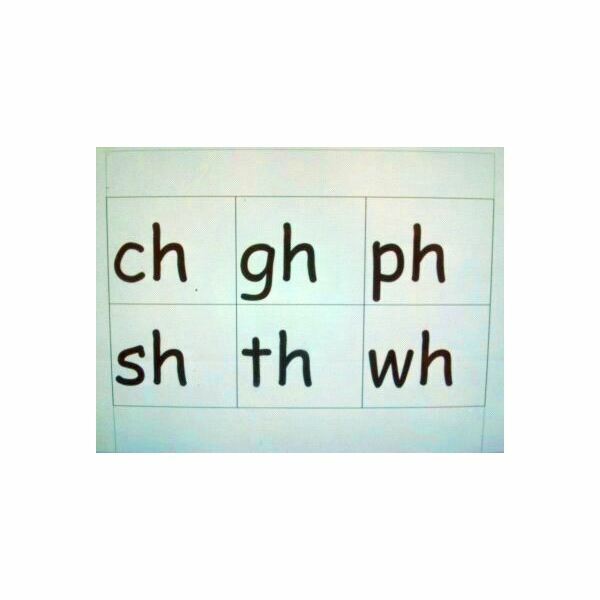 Common consonant digraphs are “ch,” “gh,” “wh,” “sh,” “th,” “ph.” Introduce one digraph at a time, complete with examples of the digraph at the beginning and ending of the word. Give children opportunities to use digraph word sorting games, as well as spelling practice. Making your own free consonant digraph games can be quite easy, either by hand or by using the table feature in your favorite word processing program. Bingo – Measure a simple grid of 3 x 3 or 5 x 5 squares on a piece of white paper, then run it through the copier for as many game cards as you think you will need. Write words containing consonant digraphs on the squares, and make calling cards be just a digraph. Or, write the actual digraphs on the grids, and have the calling cards be words containing those digraphs. A simpler version would be strictly matching exact words or digraphs. Board Games – Draw your own path on a large piece of poster board. Within the spaces, write words that contain your targeted consonant digraphs. Children can move by drawing cards that have a digraph printed on them. As they turn over each card, they should move to a space that contains a word with that digraph. Include cards that make them go backwards, start over, or jump ahead a few spaces, to make it more interesting. Make it fully interactive by putting these words on pieces of laminated construction paper that are affixed to the floor in the classroom, using tape or Velcro. Have children move themselves along a life-sized game board. Go Fish – Use a stack of index cards to create your own version of Go Fish. Write a word with a consonant digraph on the top and the bottom of a vertical card. If including one set of each word, children would have to request simply the consonant digraph within each word. For example, if the child has the word “chair,” it could be matched with “chop.” Another version could be only matching digraphs in the beginning of a word, or only in the end of a word. For simply pronunciation practice, make two sets of cards, so that children have to match them by word. Memory/Concentration – Stimulate those memory skills by cutting index cards in half. Write a word on two halves. Children can lay them face-down in a grid and take turns turning over two at once to see if they match. If a match is made, set them aside and turn over two more. If not, play moves to the next person. Challenge your students to make up their own versions of these games. Laminate them for durability. Any of these games can also be created using pictures and text from worksheets that you already have in your classroom, or free ones that you can find online. Check with your school’s library and other teachers, too, to see what books and resources they have available to use.